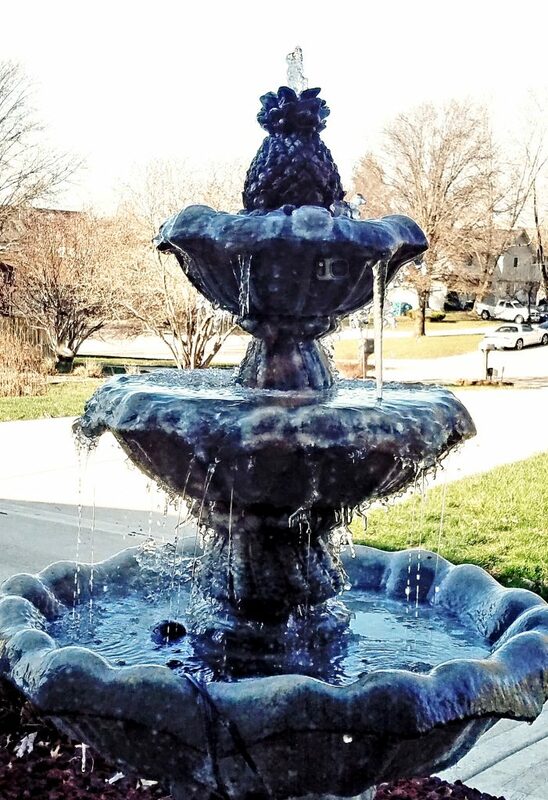 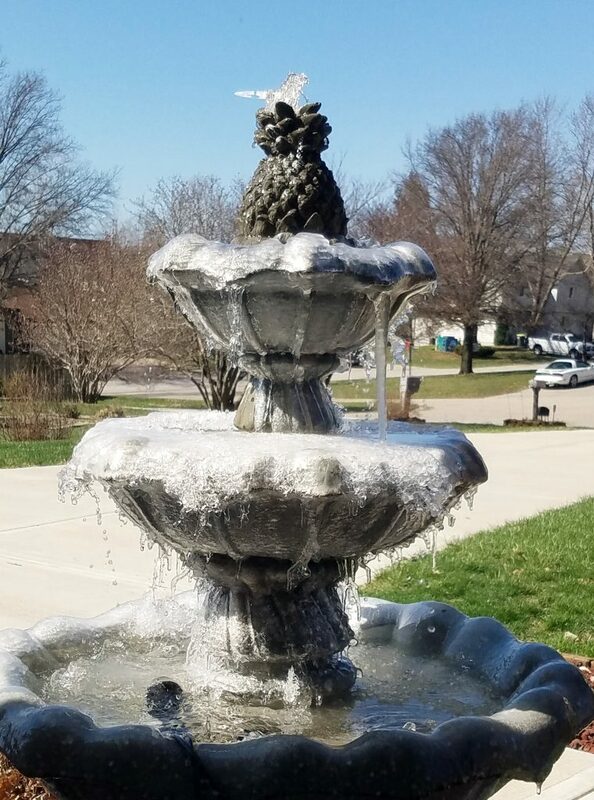 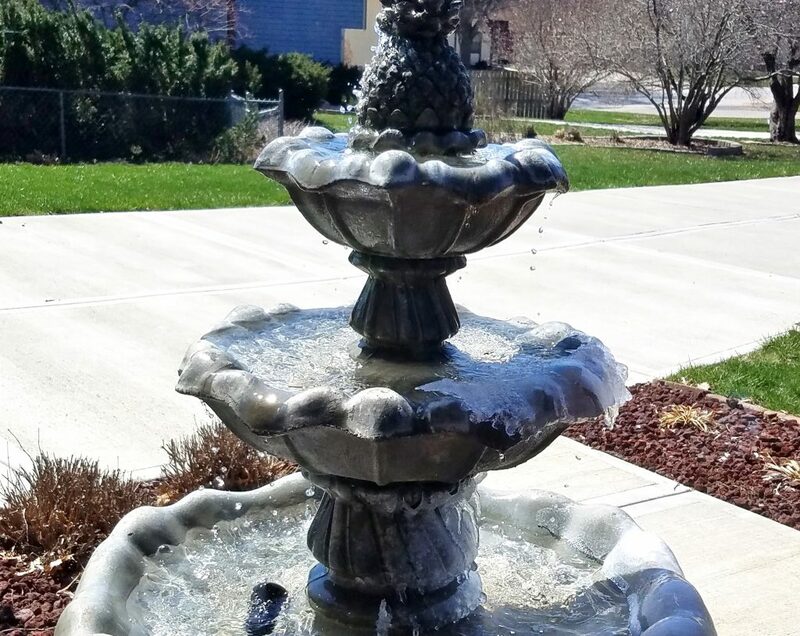 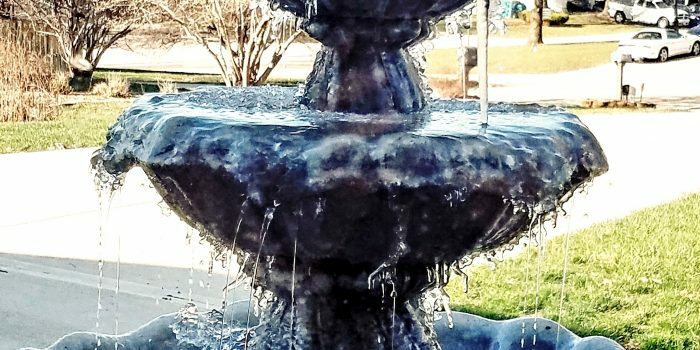 It was 26 this morning and the fountain froze up. 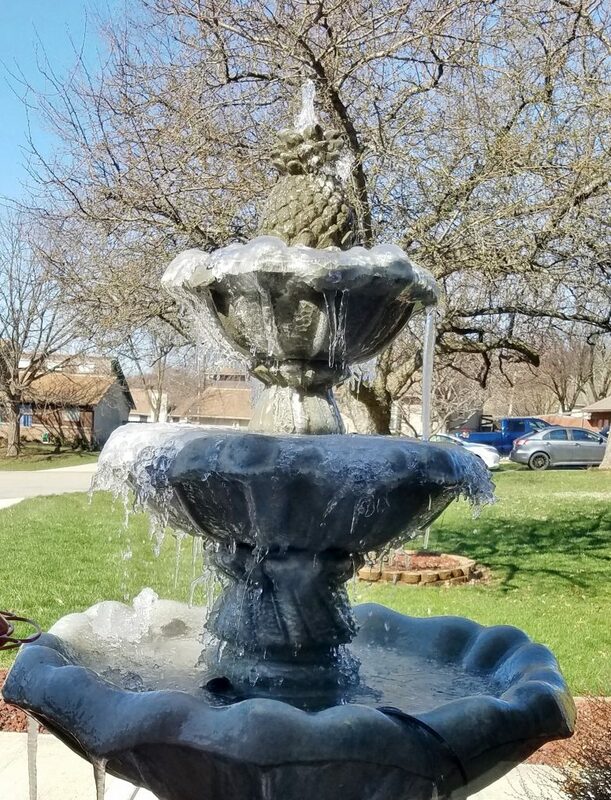 This is the progress of the defrosting. 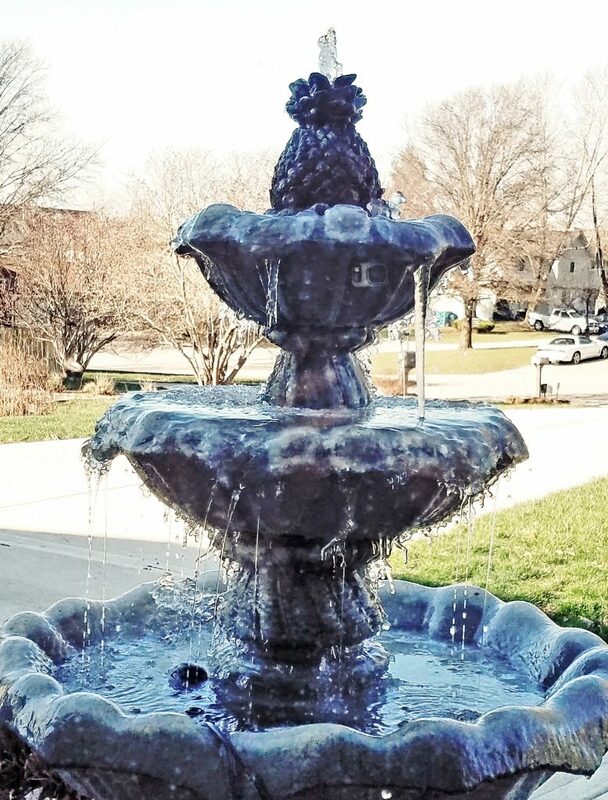 Looks like it’s going to be nice here today after rain yesterday!